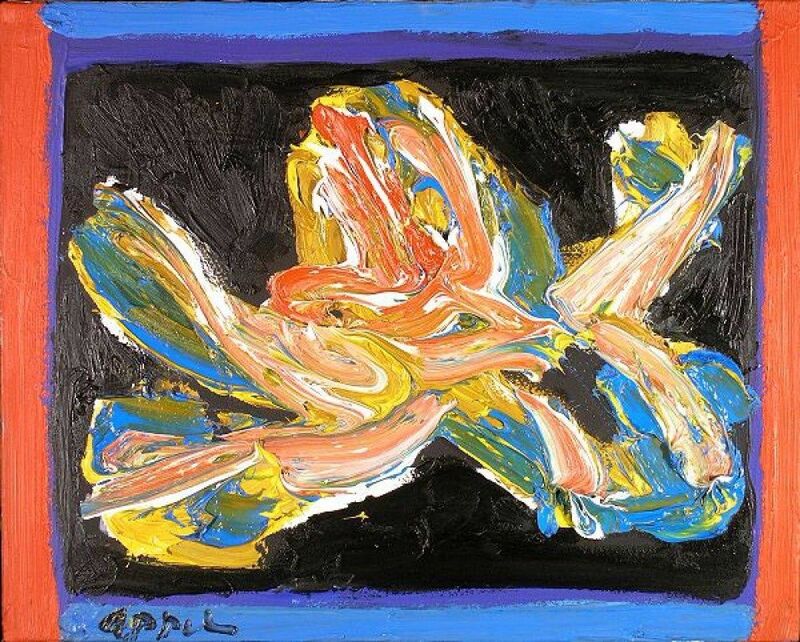 Christiaan Karel Appel (25 April 1921 – 3 May 2006) was a Dutch painter, sculptor, and poet. He started painting at the age of fourteen and studied at the Rijksakademie in Amsterdam in the 1940s. He was one of the founders of the avant-garde movement Cobra in 1948. He was also an avid sculptor and has had works featured in MoMA and other museums worldwide.